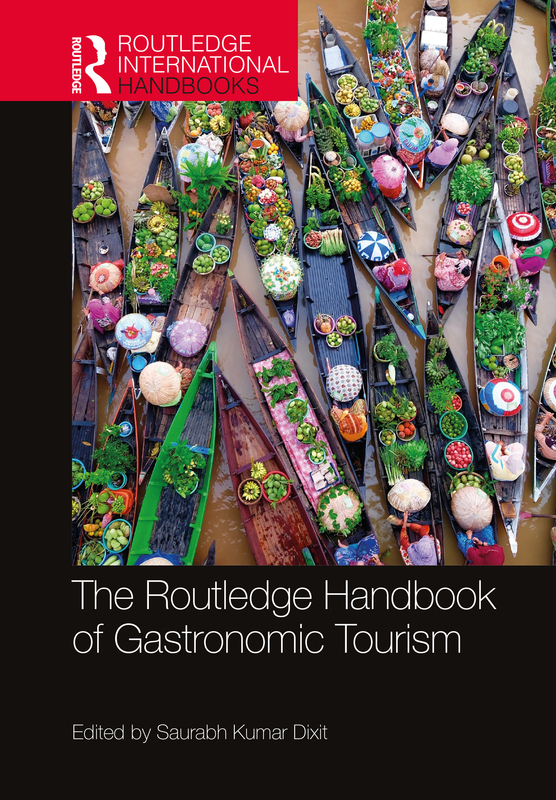 The Routledge Handbook of Gastronomic Tourism explores the rapid transformations that have affected the interrelated areas of gastronomy, tourism and society, shaping new forms of destination branding, visitor satisfaction, and induced purchase decisions. This edited text critically examines current debates, critical reflections of contemporary ideas, controversies and queries relating to the fast-growing niche market of gastronomic tourism. This comprehensive book is structured into six parts. Part I offers an introductory understanding of gastronomic tourism; Part II deals with the issues relating to gastronomic tourist behavior; Part III raises important issues of sustainability in gastronomic tourism; Part IV reveals how digital developments have influenced the changing expressions of gastronomic tourism; Part V highlights the contemporary forms of gastronomic tourism; and Part VI elaborates other emerging paradigms of gastronomic tourism. Combining the knowledge and expertise of over a hundred scholars from thirty-one countries around the world, the book aims to foster synergetic interaction between academia and industry. Its wealth of case studies and examples make it an essential resource for students, researchers and industry practitioners of hospitality, tourism, gastronomy, management, marketing, consumer behavior, business and cultural studies. BySotiriadis Marios D., Nduna Lesedi T.
How do gastronomic blogs affect the consumer’s decision?